Don’t miss the boys if they are hitting a town near you! Thanks to gentleman Gideon Coe for featuring this slice of live vintage Wilko / Solid Senders! Still time to listen again. Squeeze frontman and co-founder Glenn Tilbrook will join Wilko Johnson on the UK leg of Wilko’s upcoming tour dates, starting on February 28th2019. 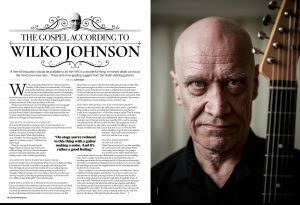 The special guest dates with Wilko will run either side of Glenn’s own headline shows. 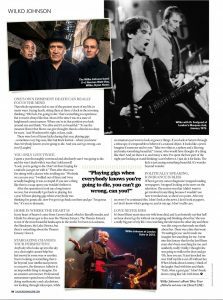 At both his solo shows and on the Wilko Johnson tour Glenn will be promoting awareness of, and donations for, The Trussell Trust, the charity that supports a network of foodbanks around the UK. 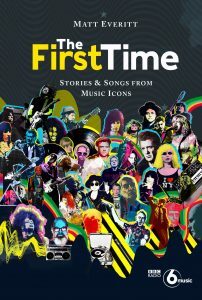 At most venues there will be food drop points and collection boxes, and Glenn will also be donating all profits from his merchandise, including an exclusive 4 track EP, to the organisation. Food donated at the venues will be collected and distributed to the nearest Trussell Trust foodbank. Foodbanks provide a minimum of three-days’ nutritionally balanced, non-perishable tinned and dried foods that have been donated by the local community. A list of itemsin a typical food parcel are: cereal, soup, pasta, rice, tinned tomatoes/pasta sauce, lentils, beans and pulses, tinned meat, tinned vegetables, tea/coffee, tinned fruit, biscuits, UHT milk and fruit juice. If possible audience members are asked to check with local foodbanksto see what supplies are currently needed. What better than to head to sunnier climes in the bleak midwinter? 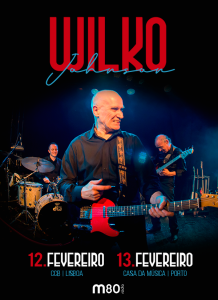 In February, Wilko and the boys will be doing just that – playing the below two dates in Portugal shortly after appearing in Madrid (9th) and Barcelona (10th) – see our live dates section for further details. New UK tour dates added for Spring 2019! Get your diaries out, Wilko fans, because a raft of fresh tour dates have just been confirmed! 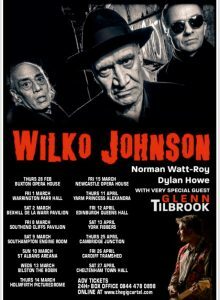 Wilko, Norman and Dylan will be touring throughout March and April, and many of the shows will feature Squeeze star Glenn Tilbrook in support. Head to our Live Dates page and find out if the boys are coming to a town near you next Spring.